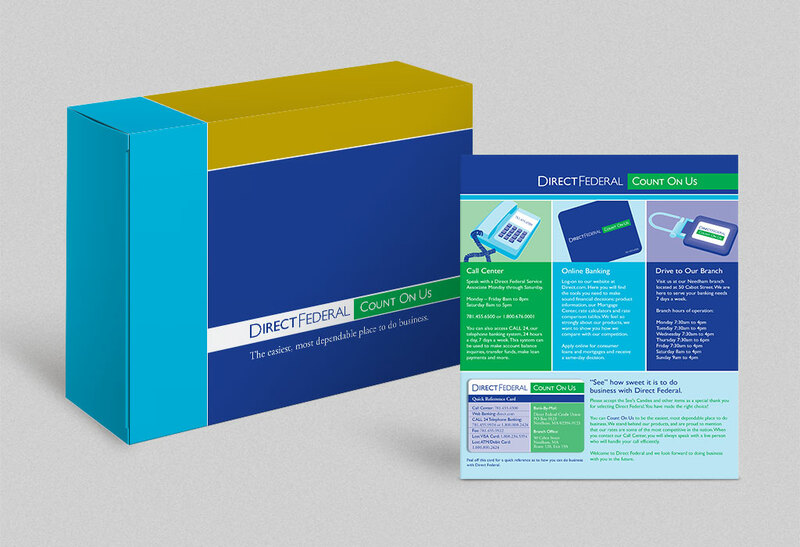 Direct Federal is nationally known for the quality of banking and customer services offered to its members. The logo incorporates the tag line “Count on Us” to show their mission in being the best. 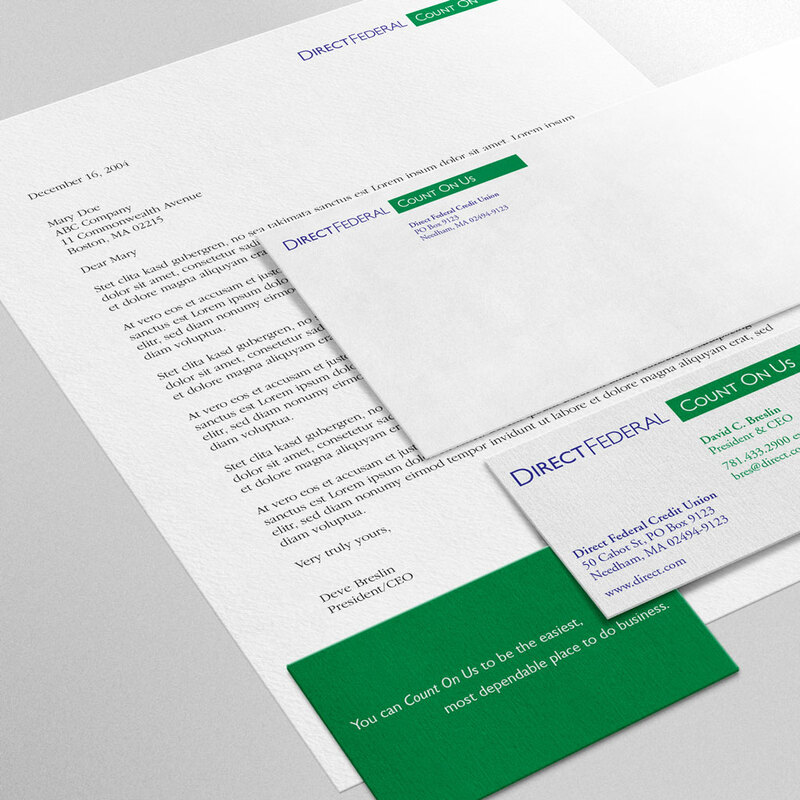 The typographic logo is simple and welcoming, reflecting the credit union’s employee’s friendliness, while the solid shape containing the tag line highlights their mission. 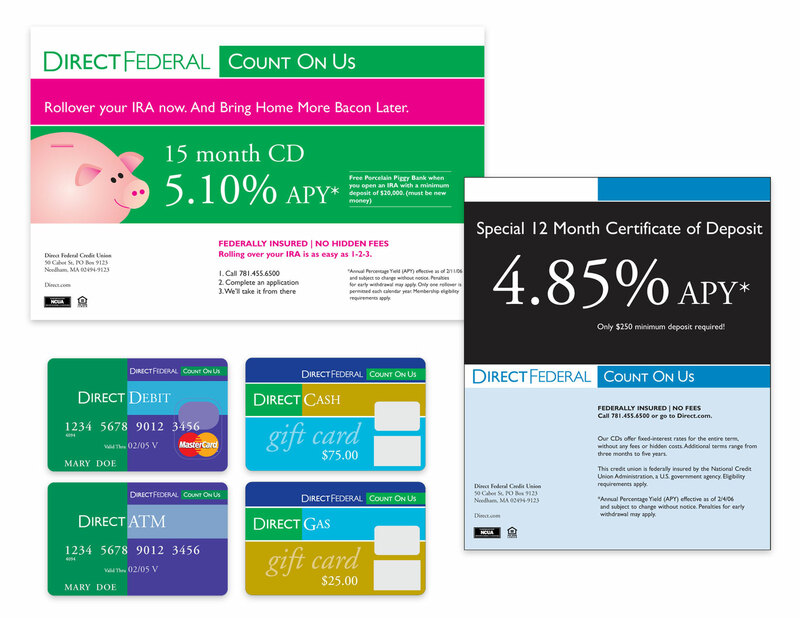 Direct Federal’s visual language carried on other materials consists of bold colors and large solid shapes to illustrate a credit union that is reliable, straightforward and willing to go the extra mile for their customers.